In 1798, Caroline was sent as a boarder to Madame Campan’s pension in St Germain-en-Laye, where she would finally receive something of an education. 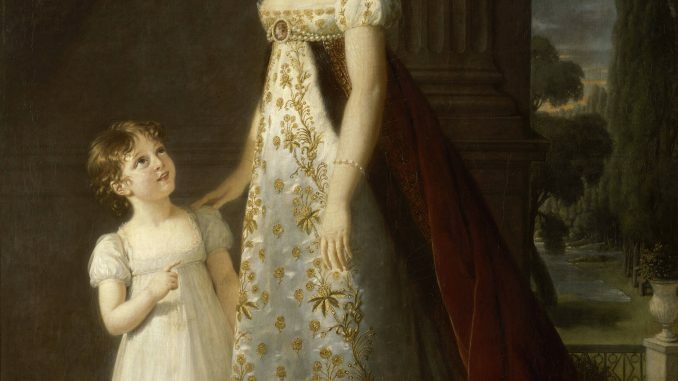 Hortense de Beauharnais, the daughter of her sister-in-law Josephine, was also there and Napoleon told her to emulate Hortense, who was a model pupil. 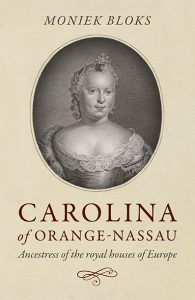 Caroline immediately disliked her despite the fact that Hortense did her best to help Caroline settle in. Caroline eventually confessed to her that she wanted to do badly at school so that Madame Campan would send her away so that she could be with General Murat, with whom she was madly in love. She briefly met Murat at the end of 1799 after he was wounded and they probably came to an understanding. By November, she was ordered back to Madame Campan’s. It wasn’t until Napoleon was confirmed as First Consul that Caroline and Hortense were allowed back to Paris. Caroline was soon pregnant again, and she went back to Paris in October. Murat begged his brother-in-law to accompany her, but he was only allowed to go as far as Mount Cenis. On 24 April 1802, Caroline gave birth to a daughter named Marie Laetitia Josephine Annunziade. Murat was able to see his daughter at the end of May when he returned to Paris for five months. A third child, a son named Napoleon Lucien Charles Francoise, was born on 16 May 1803.